13-year old Olivia Goodreau has been living with Lyme disease for half her life. She joined me today to tell her story from the tick bite to a myriad of symptoms to visiting 51 doctors before being diagnosed with the tick-borne disease. Olivia also talked about her nonprofit organization, LivLyme Foundation, which supports the work of researchers and scientists who are dedicated to finding the effective treatment for Lyme disease and ultimately finding the cure. 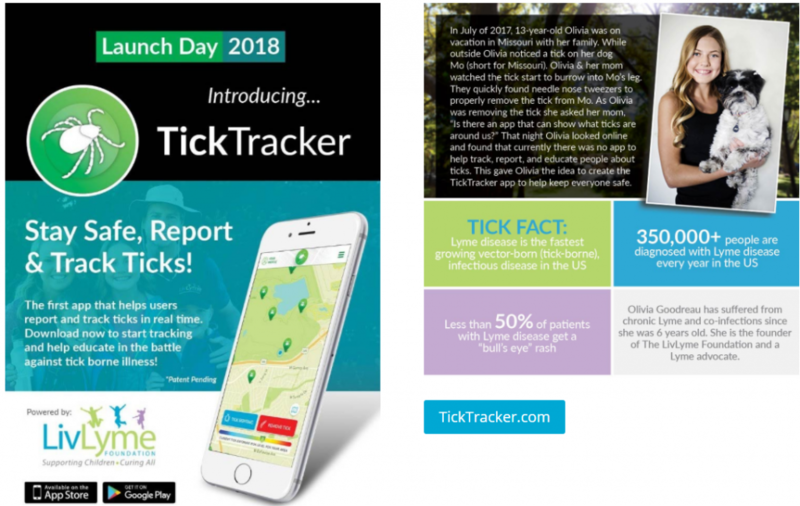 We also talk about the TickTracker app, her idea which allows you to track & report ticks in real-time with geolocation. Jeff Stauffer, Founder of The Plan also joined the discussion. Jeff led the design and strategy for the app.